Its official, Tom McCarty is now high on my favourite directors list. 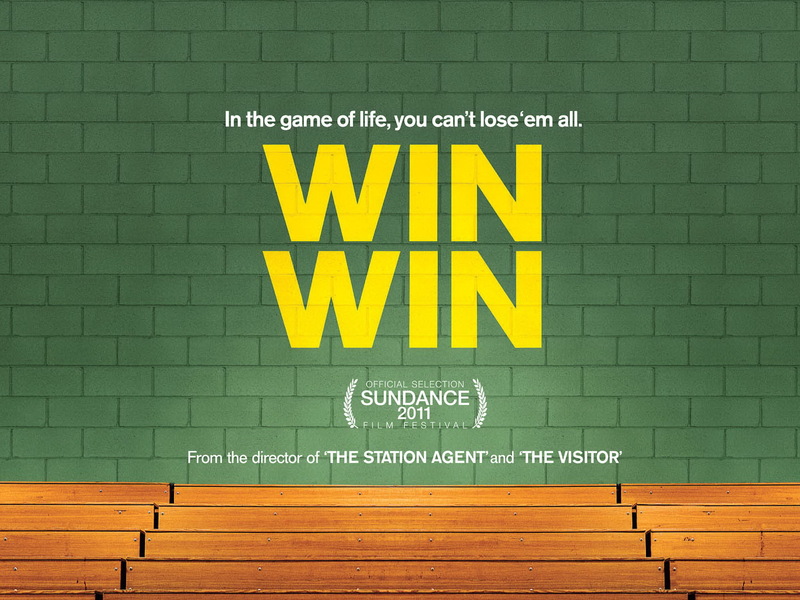 How is it possible for one director/writer to follow up one of my most loved independent American movies The Station Agent (2003) with the almost equally brilliant The Visitor (2008) and maintain the same high quality with his third film Win Win (2011). All three films deal basically with human relationships, in The Station Agent we are introduced to three characters. Fin McBride (Peter Dinklage) a loner with a passion for trains who on the death of his friend and employer inherits an abandoned train depot in the middle of nowhere, but his peace is shattered when he discovers that the owner of the hot dog van parked next to his new home, Joe Oramas, (Bobby Cannavale) has an insatiable hunger for conversation. The third person in this very moving comedy drama is Olivia Harris (Patricia Clarkson) a distracted artist who is still trying to cope with the sudden death of her young son two years earlier. Three people who on the surface have nothing in common but are entwined together into a credible friendship by the McCarthy’s BAFTA award winning screenplay. In The Visitor McCarthy deals with the stark realities of the US immigration system when Walter Vale, an economics professor, discovers a young couple living in his flat when he travels to New York City on college business. The pair, unaware that they have been illegally renting it, are allowed to stay, with Walter striking up a friendship with Tarek, who shortly after gets detained as an illegal immigrant. Matters get increasingly emotionally involving for Walter when the detainees mother arrives. For his role as Walter, Richard Jenkins was quite rightly nominated for Best Actor in the 2009 Academy Awards. local care home pocketing the fee for his upkeep. 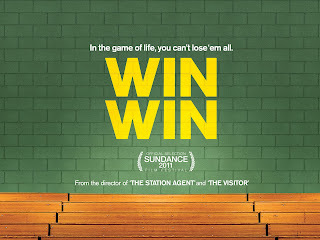 Its not all bad news when Leo’s 16-year old grandson Kyle (Alex Shaffer in his debut role) turns up to stay with his granddad, having given up on his mother who is in drug rehabilitation and her abusive live-in boyfriend, he turns out to a youth wrestling champion with whom Mike and his two fellow coaches (Bobby Cannavale and Jeffrey Tambor) hope than can turn around the fortunes of their rather dire wrestling squad. The every more familiar Amy Ryan gives great support as Mikes long suffering but compassionate wife Jackie. Maybe not quite as life affirming as his first film but still an exceptional example of American independent cinema.